Call or make an online appointment to get started. We use short treatment plans, customized for your individual condition to get you back to your active lifestyle. Take care of your spine with regular chiropractic care. Welcome to Arbor View Chiropractic! Thank you for visiting our website. Our office is located on Wadsworth Boulevard, in the heart of Arvada. 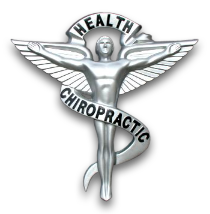 The health professionals at Arbor View Chiropractic are dedicated to providing the best chiropractic care has to offer. They are here to help you get out of pain, understand the cause of your symptoms and help you achieve your health objectives. Dr. Michael Barry and his staff are committed to bringing you better health, vitality and performance through individualized treatment programs. Patients seeking treatment at Arbor View Chiropractic are assured of receiving the finest quality care through the use of traditional chiropractic methods and scientifically validated treatment protocols. They successfully treat a vast array of conditions utilizing conservative methods that include joint manipulation of the spine and limbs, massage, nutrition and exercise. Dr. Barry and his team of professionals have a genuine concern for your treatment objectives, overall health and continued wellness! 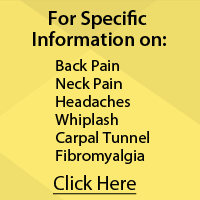 If you are new to chiropractic, please feel free to explore and discover all that this form of treatment has to offer and how how it can help you to feel and function at your best. If you are interested in starting your journey towards improved health, please subscribe to our award winning newsletter. If you are already a newsletter subscriber, please go to the Member Wellness section of our website for interesting articles, resources, and health facts. The information in this section has been selected by Dr. Barry to help you on your quest for improved health. Feel Better, Get Better, Stay Better. After All - It's Your Life... Live it Well! Our forms are conveniently available here. Just complete online, print and bring to your appointment. Dr. Michael Barry is a graduate of Palmer College of Chiropractic in Davenport, IA with more that 25 years of clinical experience. He has a specialty certification in radiology and is an accomplished national lecturer and author. He enjoys the diversity of his daily practice that includes patient care and interpreting diagnostic images for other health care providers across the nation. "My pain is gone and I feel better than I have in months."